MOSCOW, September 7. /TASS/. 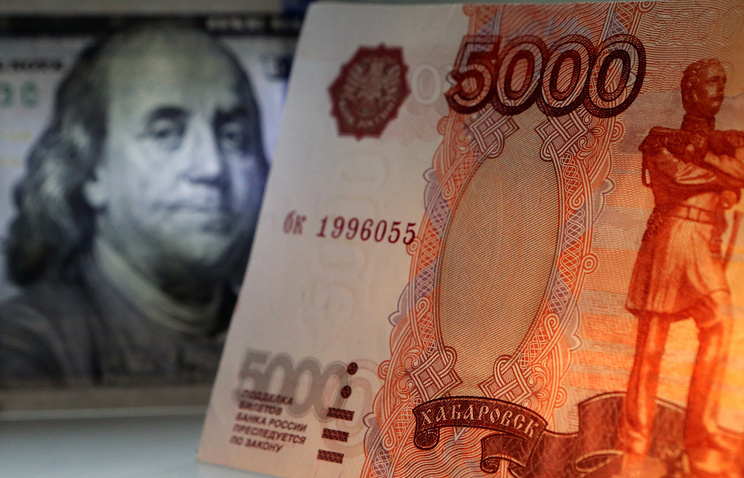 Possible US sanctions against Russia’s public debt may have a negative impact on the Russian market, but there is no reason to panic, Konstantin Vyshkovsky, head of the external debt department at the Finance Ministry said at the session of the Third Moscow Financial Forum. "Obviously, it would be sly of us to say that the rhetoric of sanctions and potential introduction of sanctions against the public debt will not have a negative impact on our market, will not complicate the issuer's ability to attract borrowed resources, primarily on the domestic market, of course. This is not the case," he said. "The negative influence is here. We all see how anxious the market participants are amid regular news that the introduction of sanctions on the Russian public debt is being discussed. At the same time, in our opinion, there is absolutely no reason for panic," he said. According to Vyshkovsky, despite the significant share of non-residents in the Russian public debt, even in case of the most stressful scenario (when most of non-residents are not able to acquire Russian securities because of sanctions on the Russian public debt), the Finance Ministry sees no reason to think that the domestic Russian public debt market will suffer greatly. Vyshkovsky expressed confidence that the Finance Ministry, even with such a scenario, will be able to implement the program of borrowing.